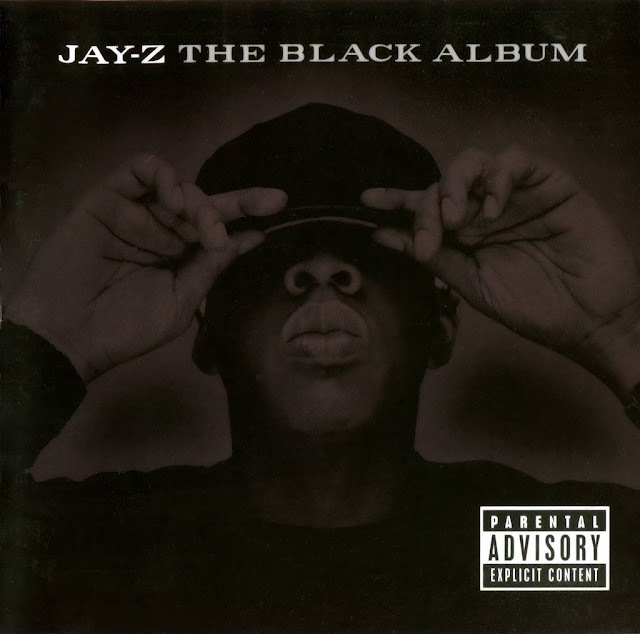 The Black Album este cel de-al 8-lea album al lui Jay-Z și a fost lansat în data de 14 noiembrie 2003, prin Roc-A-Fella & Def Jam. "December 4th" contains a sample of "That's How Long" by The Chi-Lites. "What More Can I Say" contains a sample of "Something for Nothing" by MFSB and "Keep Your Hands High" by Tracey Lee featuring The Notorious B.I.G..
"Encore" contains a sample of "I Will" by John Holt. "Threat" contains a sample of "A Woman's Threat" by R. Kelly. "99 Problems" contains samples of "Long Red" by Mountain, "Get Me Back on Time, Engine Number 9" by Wilson Pickett, "The Big Beat" by Billy Squier, "99 Problems" by Ice-T, "Touched" by UGK and "Children's Story" by Slick Rick. 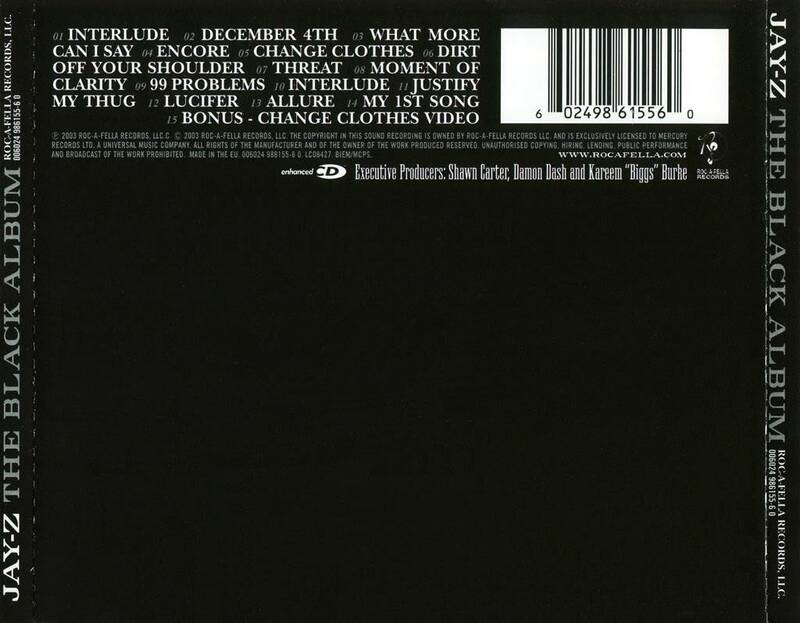 "Public Service Announcement (Interlude)" contains samples of "No One Can Do It Better" by The D.O.C. and "Seed of Love" by Little Boy Blues. "Justify My Thug" contains samples of "Rock Around the Clock" by Bill Haley & His Comets, "Rock Box" as performed by Run DMC and "Justify My Love" by Madonna. "Lucifer" contains a sample of "Chase the Devil" by Max Romeo. "My 1st Song" contains a sample of "Tu y Tu Mirar...Yo y Mi Canción" by Los Angeles Negros.